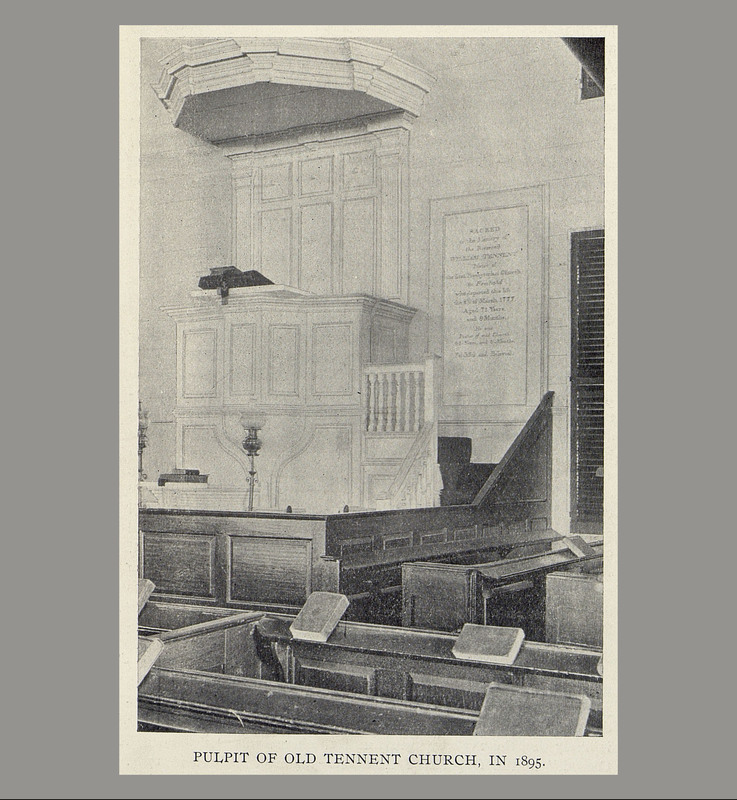 Old Tennent Church in Manalapan, New Jersey, stands as a landmark not only of Colonial and Revolutionary America, but of early Presbyterianism in America. Referred to by a variety of popular names through the years, the congregation was initially known as Old Scots Church, then Freehold Church, and later, Old Tennent Church—in memory of Rev. John Tennent and his brother, Rev. William Tennent. December 1706 presbytery minutes show that Rev. John Boyd was ordained to the gospel ministry at the same meeting where the first presbytery was organized. Boyd’s is the first recorded ordination of a Presbyterian minister in America and Old Scots Church the first Presbyterian church in New Jersey to belong to the original presbytery. Although the location of the December 1706 meeting is lost to history along with the missing first page of minutes, Boyd’s association with Old Scots Church suggests the possibility that the gathering occurred on that congregation’s property. Old Scots Church of Freehold was organized around 1692 by Scottish Covenanters fleeing persecution in their homeland. 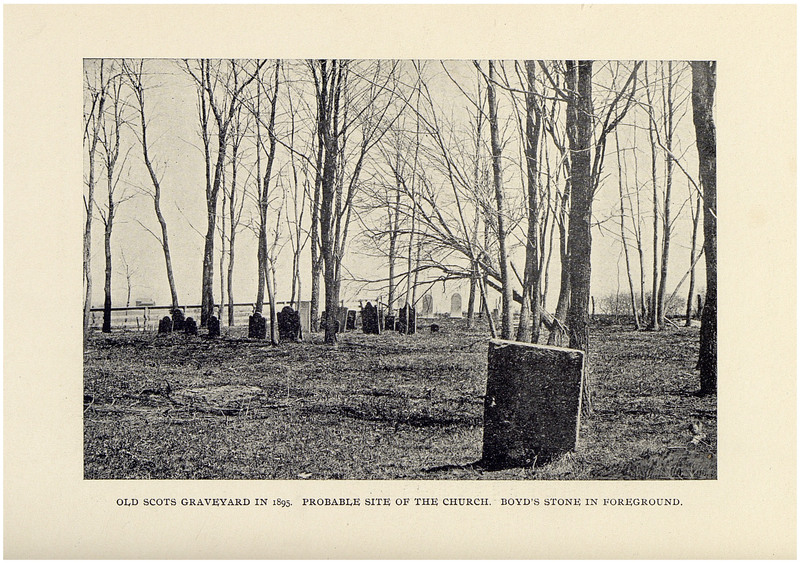 The congregation’s first house of worship was erected on the site of what is now called Old Scots Burying Ground in Marlboro Township, New Jersey. Early settlers named the site Free Hill. Rev. 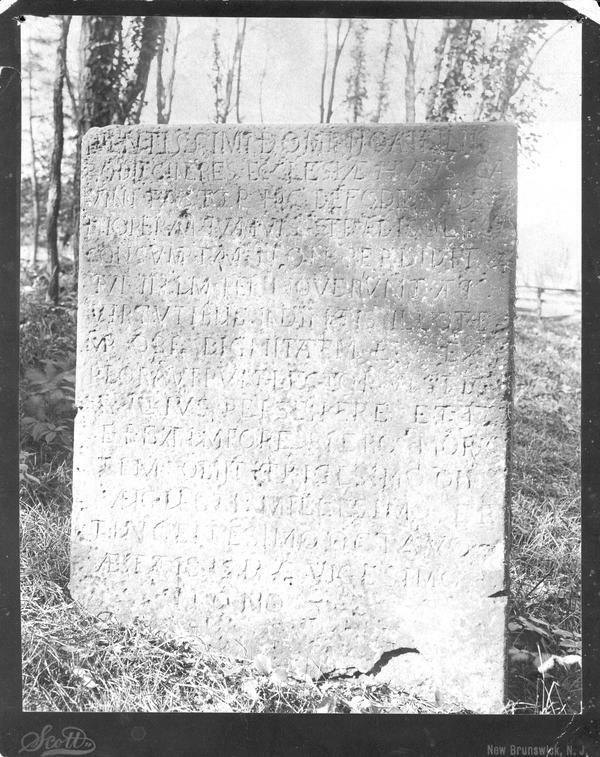 Boyd died on August 30, 1708, and was buried in the graveyard in Marlboro Township. In part to protect his oversized headstone from the elements, the marker was removed and given to the Presbyterian Historical Society, where it is permanently displayed inside our building. In 1900, the Synod of New Jersey erected a monument to Rev. Boyd where the tombstone once lay. A second house of worship was erected in 1730 about five miles from the original church—to accommodate the growing congregation and the resettlement of many members in the area of what is now Freehold. A third church, built in 1750 on the same site as the second church, is still used for worship by members of Old Tennent Church today. Around 1760, Old Scots Church adopted the “Religious Liberty” seal, the oldest known corporate seal of any American Presbyterian church. The seal stood for the Presbyterian Church of Monmouth County, encompassing congregations in Freehold, Shrewsbury, Allentown, and Cranbury. Rev. Henry McCook, a 19th century leader of the Presbyterian Historical Society, speculated that the Old Testament story of the burning bush may have inspired the design of such seals—a historical certainty with regards to today’s PC(USA) seal. 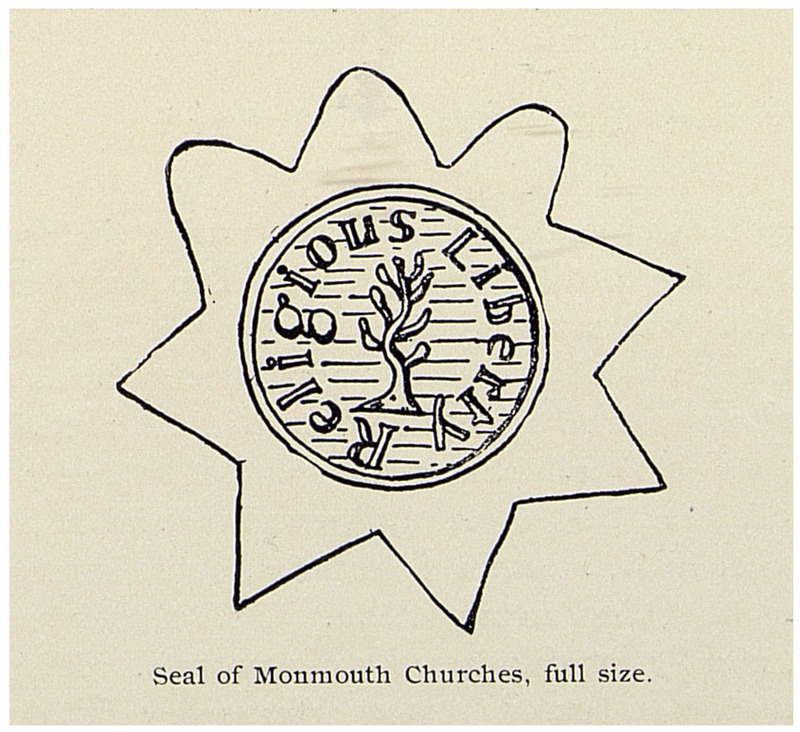 Seal of Monmouth Churches, undated.